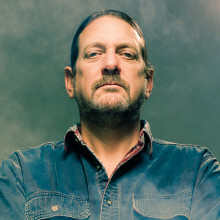 Bill Downing ‘80 has extensive experience as both a serial entrepreneur and as a cannabis tradesman, activist and researcher. Bill was among the first students to take courses in Entrepreneurship, which is now offered as a major, at his alma mater Babson College, now recognized worldwide as an academic leader in that field. After long success in business-to-business sales and sales management, culminating with ten years as Philips Business Systems National Sales Champion, scoring in the top ten in the nation in the last three of those years. Bill was involved in starting multiple businesses including Savvy PR, ResuMemory/CertBank, Corproate Learning Soutions, Willy’s Foods, LLC and Care Givers Connection, LLC. Bill joined MASS CANN/NORML and within a few months was elected President and since then he has voluntarily dedicated a large portion of his waking hours to the moderation of marijuana laws. He was president of the MASS CANN/NORML (MC/N) for 13 years and is now the editor of the members’ newsletter MASS GRASS and the treasurer. He was one of two operations managers for the Massachusetts Coalition for Medicinal Cannabis (MC2) and managed a team of volunteer petitioners who, in 1990, gathered over 13,000 signatures in support of a Cambridge City Council home-rule petition supporting medicinal marijuana culminating in the passage of the Cannabis Therapeutic Research Act and Joe Hutchins Act all milestones that led to our commonwealth’s request from the federal government for safe access. In spring 2006 he “re-vegged” an Apple Fluff cannabis plant, which grew to a size for which it is local legend. 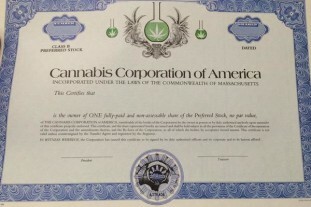 The thick trunk of this plant was preserved and in 2011 fashioned into the handle of the official MASS CANN/NORML gavel. That large plant has been here-to-fore referred to as the “Gavel Plant”.